Miro's Pharmacy in Andorra. Beauty, Dermatology, Cosmetics, Hygiene. Cosmetic preparation to help smoothing out expression lines. Cosmetic precision applicator with truncated-tip cannula. 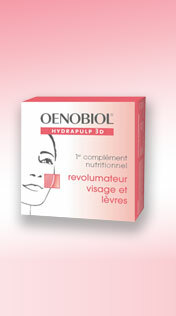 Oenobiol Hidrapulp 3D is indicated to resist loss of density and volume in the face and lips. High concentration of Hyalurone, a marine extract rich in hydrocaptors (GAGs) naturally present in the skin. Enables the skin to more effectively lock in water and reinforce the skin's network in depth. Restores structure and density for a volumizing effect on the face and lips. Dermatologically tested, Oenobiol Hydrapulp 3D increases the moisture level in the skin from the 6th week. Oenobiol Eye Contour offers the first nutritional supplement that acts from within and in depth to reduce puffiness and dark circles, thanks to active ingredients extracted from fruit and selected for their effectiveness on the eye contour. The iwhite tray and the iwhite foam strips are a hi-tech revolutionary breakthrough in teeth whitening. The iwhite tray introduces light technology in a compact and easy-to-use mouthpiece. The iwhite foam strips, to be placed in the tray for each bleaching session, are comfortable to wear and whiten your teeth deeper and better than ever before. Iwhite, the best reason to smile! - thanks to the hi-tech delivery system, the whitening reaction of the foam strip is accelerated and gives you better, faster and deeper whitening results. - only 20 minutes a day per arch during 5 days.